If you read amazing stories of overcoming seemingly insurmountable obstacles, tragedy and triumph, then you'll love Charlie's incredible journey! In 1949, he was the first black person under contract with the Denver Symphony Orchestra. In 1959, he became the first black person to play in the San Francisco Symphony Orchestra and the San Francisco Opera. In addition to being a classical music pioneer, he was a jazz musician as well, playing alongside many world-renowned jazz artists. He has great stories to tell about critical times in his life. How many people can tell stories about Lionel Hampton, Charlie Parker, Billie Holiday--at the same time telling about Arthur Fiedler, Pierre Monteux, and Isaac Stern? Only Charlie Burrell! The Life of Charlie Burrell is no simple story of the triumph of will over oppression, or of an angel who always did the right thing in the face of unending adversity and evil. 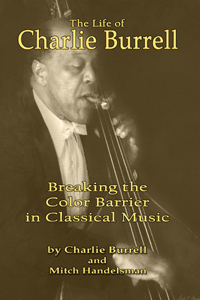 Burrell's stories weave a more complex tale of inner strength borne in the crucible of an amazing family, fired by intense ambition and hard work, and catalyzed by a series of mentors--both black and white--from whom Charlie learns important lessons, both intended and unintended. Charlie Burrell's life story provides insight into the character of a man who spent almost 30 years pursuing his dream but sought neither fame nor fortune. 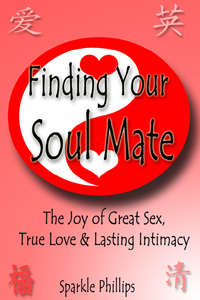 An incredible man that has made our lives resonate with love.There are dozens of endearing and inspirational stories that Charlie shares with humor throughout this finely written book. I loved the story he tells about working for the airport where he would receive free travel tickets. One Saturday when the symphony was not performing, he was hungry for something different to eat. So he uses a free ticket and flies to New York, stops in a well known New York Deli, and orders a half dozen sandwiches, takes them back to the airport the same day and returns to Denver where he has thick sub sandwiches to eat all week. Every emerging musician should read this book. It shows how integrity, self-command, hard work and intelligence can lead to success and longevity. It shows that the contentment that mastery of an instrument brings enables one to jump the ugly hurdles of life with confidence and grace. And, it shows that talent, though impressive, is not enough! At the same time, this instructive book, written by a master of his instrument and a master teacher, is very entertaining, full of raw wisdom and pithy insights. It’s a book with heart.